Filling out divorce papers can be complex, even if you understand basic legal principles. The formatting, content and service requirements for divorce papers varies from state to state and in some areas, from county to county. Additionally, the rules and procedures for filling out and submitting divorce papers are detailed and specific. Even one error or omission in your paperwork can cause the court to dismiss your case. Given the complexity of filling out divorce papers, seeking out help is a good way to protect your rights and ensure that your divorce proceeds smoothly. Court clerks may not dispense legal advice, but they can provide written instructions for filling out your divorce papers. Court clerks can also answer simple questions about how to file your paperwork and proceed with your divorce. Additionally, if you have simple questions about your divorce papers—for example, if you do not know what a word on your paperwork means—the court clerk may also be able to help you with this matter at no cost. If you have a complex question about your paperwork that the clerk cannot answer, he or she can provide you with the name and contact information of someone who can—such as a nonprofit legal aid group. 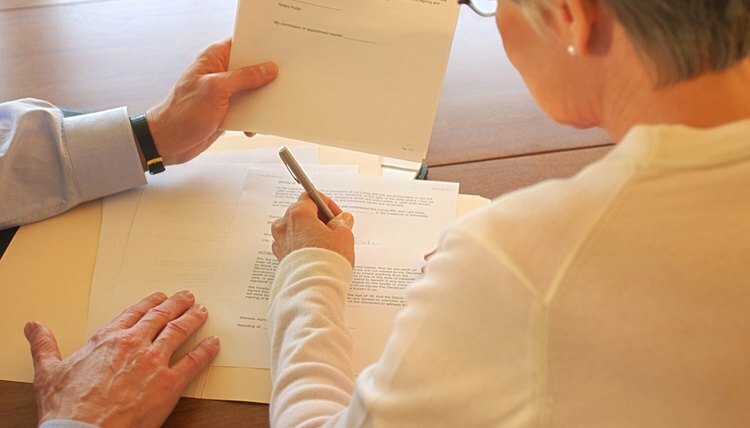 If your divorce is complex, a private attorney may be a good choice to help you fill out your divorce papers. In particular, a private divorce lawyer is a good choice for couples with children, persons who cannot agree on the terms of the divorce or spouses who have joint property or business holdings. Although private attorneys services may cost you hundreds or thousands of dollars, they can help you understand your rights and ensure that you fill out your divorce papers properly. Most communities have nonprofit legal assistance groups that can help you fill out your divorce papers at no charge. These groups employ licensed attorneys or experienced paralegals who can answer questions about your paperwork and walk you through the divorce process. Many of these nonprofit organizations limit their services to low-income clients, however. To qualify for these services, the organization may require you to fill out a financial affidavit and show proof of your income. Although some legal information available on the Internet is outdated or unreliable, you can still find many reputable resources online that can help you fill out your divorce papers. When evaluating online legal resources, consider the reputation of the website you are visiting and look for the date on which the site's authors last updated the material. A bequest is a specific provision in your will or living trust, leaving money or other assets to a person or institution. If you would like to bequeath money or other assets to your church, but you are uncertain how to do this, you are not alone. A report prepared for St. Columba's Chapel in Rhode Island estimates that less than 2 percent of all Christians leave a bequest in their wills or make some other type of planned gift to their churches. When questioned, Christians often state that their churches have not asked them for bequests, and they don't know how to prepare them on their own.